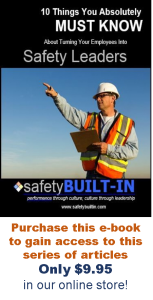 One of the most difficult hurdles to overcome when developing a safety leadership culture is getting front-line employees to understand the full weight of their role in stop-work authority. 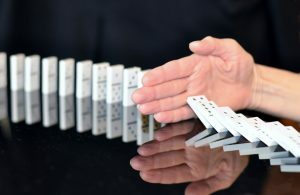 No matter how many times you communicate that they have the authority to stop a job if they feel it is unsafe to proceed, and no matter how many times you emphasize to them that they can and should stop an unsafe behavior whenever and wherever they see it, many front-line employees are simply too reluctant to do that when they’re faced with a real-life safety-critical situation. One way you can bolster their confidence in these situations is to use a stop-work authority wallet card. Now a stop-work authority wallet card is used by many companies to reinforce the idea that every employee or contractor has not only the authority but the responsibility to stop a job, an activity or a behavior if they sense it is unsafe. Stopping a job has to be retribution free, and that needs to be communicated on the card. If it’s even perceived that stopping a job is permissible but frowned upon, then no one will do it. Operations leadership needs to understand the psychology of this and actively and visibly support stop-work authority in their message, in their attitude, and in their practice. The card needs to be signed by the president of the company or of the business unit. It has to bear the signature of top leadership to be effective. The card needs to state that the bearer of the card has the full authority of the person who signed it. That allows any employee to show that card if and when they encounter an unsafe act or unsafe condition to reinforce their authority to stop that job. Every employee needs to be trained on the use of the card, on the authority they have, and on their role in spreading a safety-leadership culture. Take a look at the link below this video for a sample wallet card that you can download and use as a template for creating your own. That’s it for this edition of Recordable Insights. Until next time.